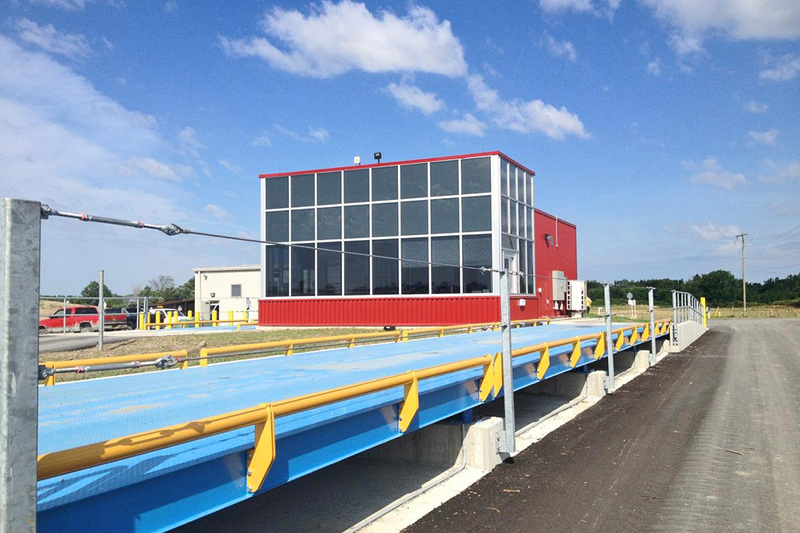 The Canborough Waste Management Facility was constructed of multiple buildings to replace the dated existing facility. 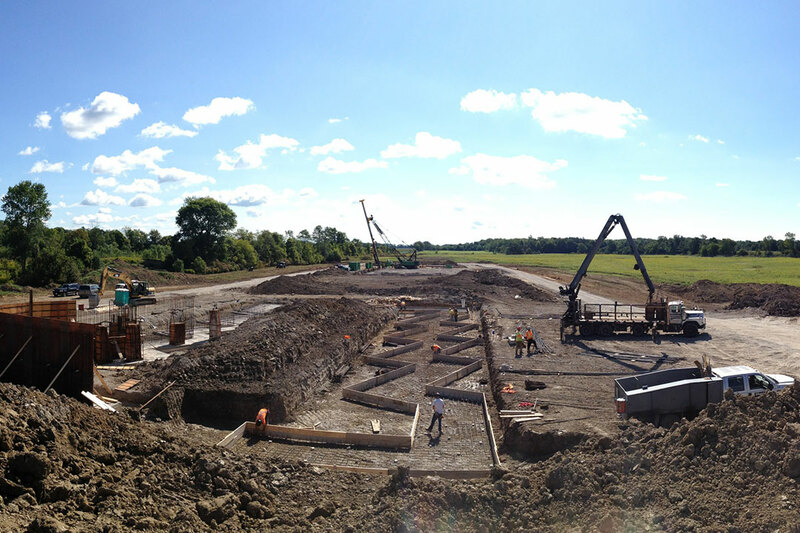 This project will enable Haldimand County to better manage their solid waste operations. The project began with a significant civil works package which included demolition of existing civil features, clearing/grubbing/grading of the 15 acre site, a 15,000 sq.ft., 100-year storm water management pond, 1km of new roadways with paved and granular surfaces, drainage at both sides of new roadway as well as swale at entire property line, 7,000 sq.ft. of paved concrete surface for yard waste, new 600 dia. lift station, an eight-bay elevated drive-through waste depot with public access, a weigh-scale, and site landscaping. 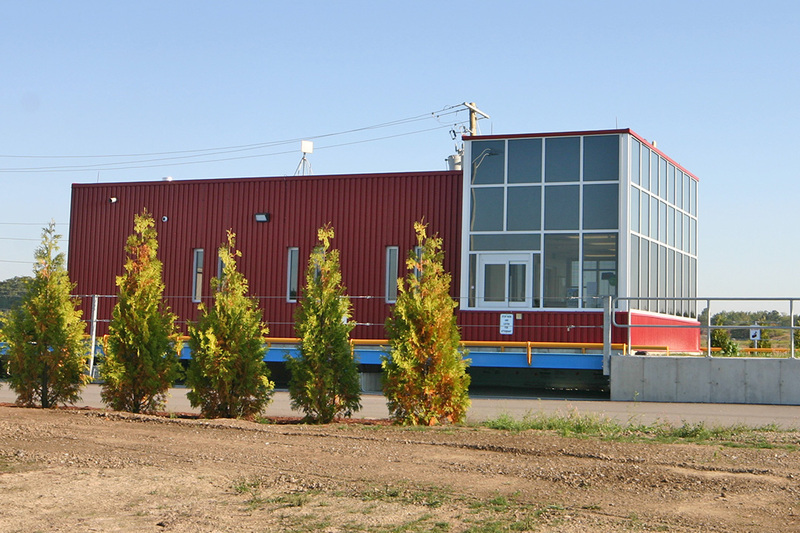 The transfer station consisted of a 17,000 sq.ft. steel building on driven steel-pile foundations, 20’-high concrete push walls, numerous large electrically operated overhead doors, a 1200mm thick concrete slab dumping area, a compactor area and a 350,000L insulated fire protection system. The project also featured a 1200 sq.ft. maintenance garage, and an 800 sq.ft. scale-house adjacent the weigh-scale. Both ancillary buildings were also constructed of pre-engineered steel buildings.